Weeks ago, I received a bag of ingredients from New Zealand Trade Enterprises and assigned with special task. Yep, the challenge is back. I am supposed to use the ingredients and transform them into something. I have to say, I am not a good cook and will always go for the quickest and simplest but yummy dishes (my bento rule no. 1, haha!). So, this round, it is going to be something simple and nice; quick and one can easily just perform it at home, or … prepare it for bento too! 1. 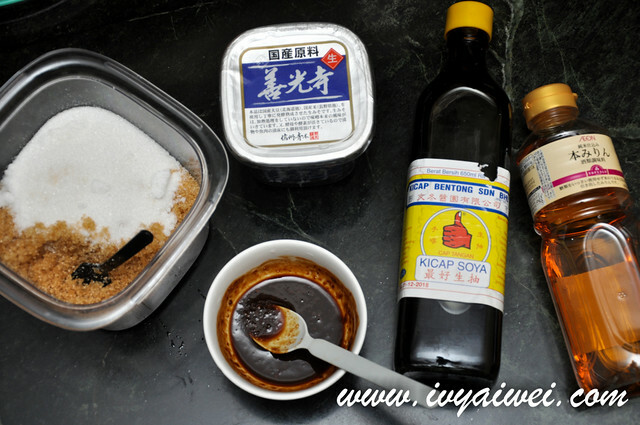 Mix miso paste, sake, mirin, soy sauce and sugar in one bowl. 2. Marinate the slab of hake for 30 mins. 3. Preheat the oven to 180 degree and bake for about 15 – 20 minutes or until the fish is cooked. 1. Boiled the soba for 5 mins or until cooked. Run them under iced cold water. 2. In the pan, heat up the garlic infused olive oil and the cloves of sliced garlic. Add in sliced capsicum and carrots. About half cooked, add in the shimeji mushroom and continue to stir-fry the vegetables. 3. Add the soba. 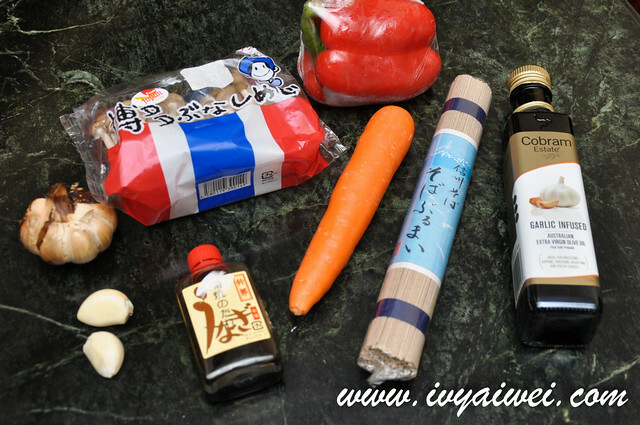 Mix all the ingredients together and start to season with a little of salt, black pepper and Yakisoba sauce. 4. Finally sprinkle with dried seaweed powder. 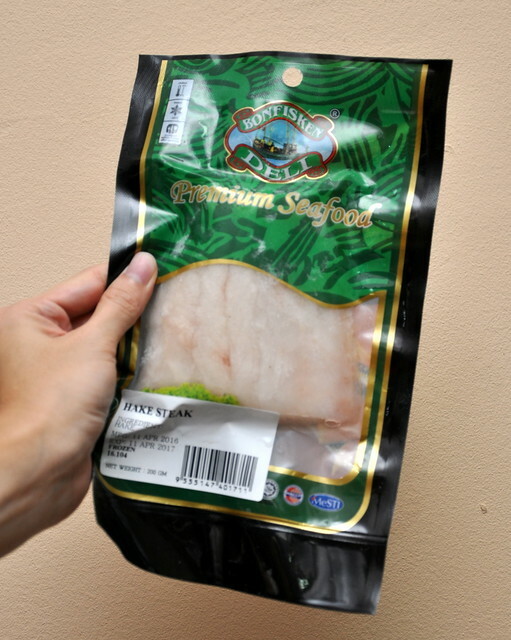 For marinating the fish, the longer you marinate it, the saltier it will be. Marinade time depends on the size of the fish. My hake was around 200g and I marinated it for 30 minutes. 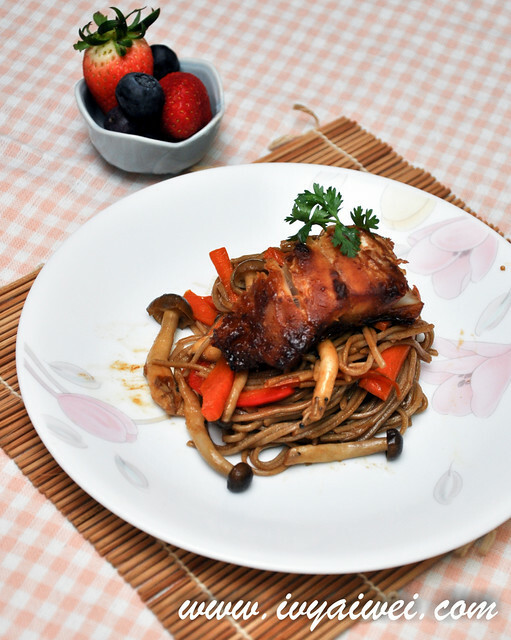 It is not necessary to use just cod; you can always opt for salmon or any other fish. 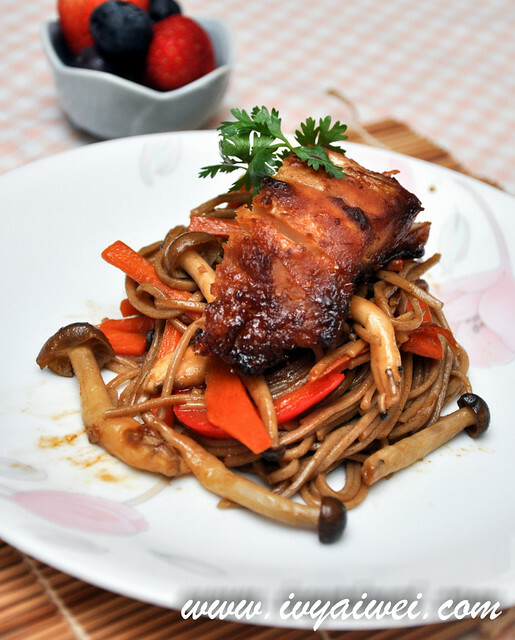 For the yakisoba, adjust the seasoning according to your amount of ingredients and preferences. I used Unagi Sauce because I found it sitting in the fridge.